In the fall, Saturdays are reserved for one thing in our house: College Football. On any given weekend, we spend the day watching game after game after game. We often have other football fans over to watch the games, and I’ve developed a repertoire of Gameday recipes that I keep on hand for those days. Queso Blanco is one of those. 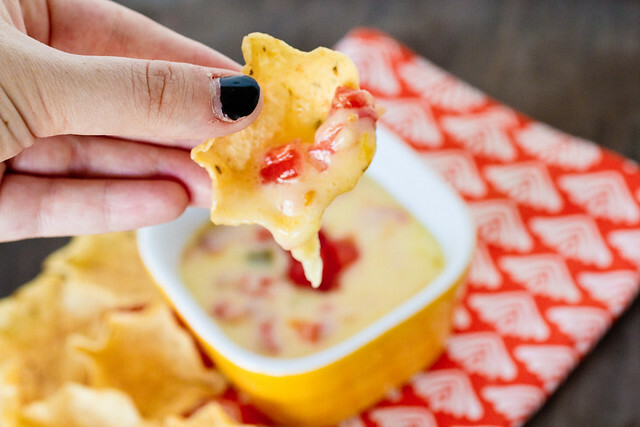 This dip is so easy to make. Tillamook cheese melts really well and adds a nice touch to this recipe. The sausage and Rotel give it some extra kick, and what’s college football without a little kick? Brown the pork sausage in a large skillet over medium-high heat. Set aside. Drain the Rotel and heat the butter on medium-high heat until melted. Add the Rotel and sauté for about 2 minutes until fragrant. Set aside. In a large saucepan, mix the cheese and 1/4 c of milk until the cheese is melted, stirring constantly. Add the Rotel and sausage to the saucepan. Mix well. 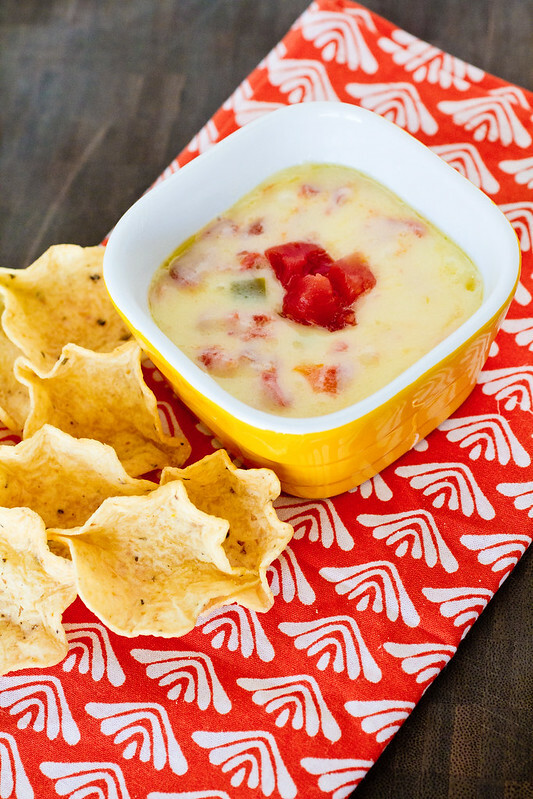 Gradually stir in milk until the queso reaches desired consistency.